Tor Browser for Windows XP - web browser for anonymous internet surfing. 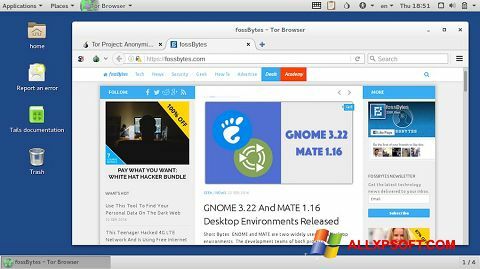 The application is based on the Firefox browser and uses the principles of the Tor network interaction, which ensures anonymity of the connection and encryption of all traffic passing. The software product is able to block pop-up windows and flash content automatically, does not save cookies and web form data, contains a module for quickly changing IP addresses and protecting against analyzing the history of visited resources. The browser does not require installation, consumes a minimum of system resources and allows you to bypass the network restrictions of providers. You can free download Tor Browser official latest version for Windows XP in English.